How do I know what chords to use to write a song? 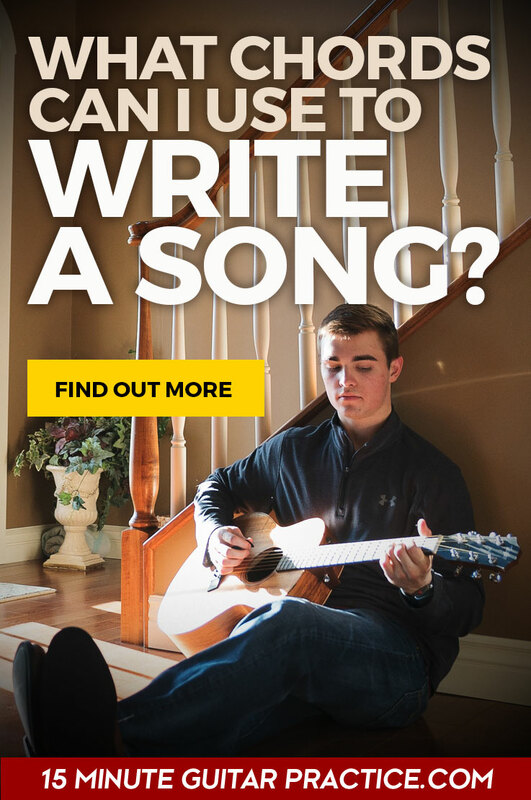 If you are a budding songwriter and guitarist you’ll want to start writing your own songs pretty soon. While some songwriters take a words-first, approach, many prefer to start with a chord progression to serve as the framework for the song and melody. So how do you know which chords to use in which order? Is there a formula for creating chord progressions? Knowing chords in a key gives you a good framework for songwriting and cuts out the guesswork when trying to write your chord progressions. This saves you a tonne of composition time and does away with those niggly questions when writing your song – Should it be this chord? Where should I go next? Shouldn’t I have a different chord sequence for the bridge aswell? Here’s what you need to know. A key is a family of 7 chords that sound good together. Selecting a few chords from this family is the basis of thousands of songs you already know and love. You can use just a couple of chords from the key, or all of them. You can put them in pretty much any order in your chord progression, they will sound good. How do you make this chord family? The major scale is used to derive the chords in a particular key. Each one of the 7 notes in the major scale is the basis for one of the chords. The chord derived from the first note of the scale is called the 1 chord, the chord derived from the second note of the scale is called the 2 chord, the third is called the 3 chord and so on. As you can see the 1, 4 and 5 chords are always Major, the 2, 3 and 6 chords are always minor and the 7 chord is a diminished chord. Writing this in roman numerals we use UPPERCASE for the MAJOR gender, lowercase for the minor chords and also lowercase with this little degree (º) symbol for the diminished chord. How do you remember the order of chords in a key? Repetition usually, or some quirky hack – download my annoyingly catchy (i.e. memorable) chord gender mp3 below. Where do seventh chords belong in a key? You should see these 2 frameworks as of options for your progression rather than absolutes. You can mix between the two if you wish. Just because the above prescribes the I chord to be a major 7 chord doesn’t mean it has to be. It could be a basic major chord and still remain “in key”. Why are Roman Numerals used instead of chord names? Yes, seriously. Singers have a specific vocal range meaning their voice has specific limits on how high or low it can go. Sometimes vocalists can’t manage to the sing asong in the original key it was recorded by the original artist, so they need to change the key. This system was devised to make it easier for the musicians to change keys to match the key of the song to the singer’s comfortable vocal range. Learning a progression by Roman Numerals (also called the Nashville Number System) makes it more “portable” and far less a headache for you and the other musicians. 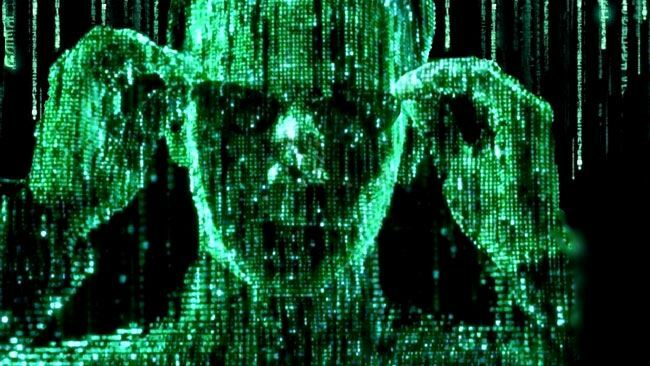 Once you’ve seen (heard) the Matrix of music, you’ll discover many common progressions in songs. You’ll be surprised how similar the chord progressions of 100s of songs are but they sound different due to being in different keys and having different melodies. One that immediately springs to mind is the similarity between the chorus of Like A Rolling Stone by Bob Dylan and the verse of Wild Thing by The Troggs. Both are I, IV, V.
These are all I, IV, V progressions and as you can see span a wide variety of musical genres. That said, you can find a greater concentration of I, IV, V progressions in blues, classic rock and rock n roll, and a few in country too. What makes all of the songs listed above sound different is their different keys and melodies but also the time spent on each chord. Louie Louie for example spends half a bar on each of the I, IV and V. Whereas I Feel Good, spends 4 bars on the I chord, 2 bars on the IV chord, just 1 on the V, followed by 1 on the IV chord followed by that famous ascending riff. But I, V, vi, IV is the winner! This particular progression pops up as the basis for thousands of complete songs or sections of songs in music over the last 50 years. So much so that the Axis Of Awesome create some hilarity by pointing this out. The I, vi, IV, V was milked massively in the 50s and 60s to bring us. A very popular device is the move to the vi chord or the ii chord to commence the Middle 8. This is often used in songs with a overiding Major tonality that are very repetitive and have similar chords in their verse and chorus. A move to the vi/ii chord provides some much needed respite from the repetition and “happiness” of the verse/chorus chords and (because ii and vi are minor) moves the song to a darker and more introspective place momentarily before returning to the refrain. now you can “see the Matrix” what common progressions or devices have you noticed?